Open 365 days a year, Ripley’s Aquarium of Canada features one of the world’s most extensive jelly fish exhibits, 65+ year old giant lobsters, sting ray and bamboo shark touch pools and daily live dive shows. From epic masterworks, to dance-all-night Pops, to Hollywood films live in concert—the Toronto Symphony Orchestra performs more than 100 concerts per year at Roy Thomson Hall. Treat yourself to the live music you love! Rogers Centre is the home of the Toronto Blue Jays Baseball Club and one of the most dynamic and versatile entertainment centres in the world. An engineering wonder of the modern world. Defining the Toronto skyline, the CN Tower is a world-class entertainment and dining destination and a must see for anyone visiting Toronto. Canada’s Walk of Fame acknowledges the achievements and accomplishments of successful Canadians. It consists of a series of maple leaf-like stars embedded in 13 designated blocks’ worth of sidewalks in the Entertainment District, located in front of Roy Thomson Hall, The Princess of Wales Theatre, and The Royal Alexandra Theatre on King Street as well as Simcoe Street. Ripley’s Aquarium of Canada is one of three aquariums owned and operated by Ripley Entertainment. It is located in downtown Toronto, just southeast of the CN Tower. The aquarium features several aquatic exhibits including a walk-through tank. The aquarium has 5.7 million litres (1.5 million gallons) of marine and freshwater habitats from across the world. The exhibits hold 13,500 exotic sea and freshwater specimens from more than 450 species. Come visit the home of Steam Whistle – a craft brewery in the heart of Toronto. See how our Pilsner is made, meet our staff and enjoy a few samples. The Toronto Railway Museum is dedicated to preserving the physical legacy, history and experience of rail transportation in Toronto and Ontario. The museum encompasses Roundhouse Park with Stall 17 as the temporary home of the gift shop, railway simulator, and small artifact display. Defining the Toronto skyline at 553.33m (1,815ft5in) the CN Tower is Canada’s most recognizable and celebrated icon. Take in spectacular views of up to 160km (100 miles) away from three observation levels, including the world famous Glass Floor and the outdoor SkyTerrace with a view 342m straight down to the ground and the SkyPod, at 447m the highest of them all. Open seasonally EdgeWalk at the CN Tower is the most exciting extreme attraction in the Tower’s history. 360 The Restaurant at the CN Tower, family friendly casual dining celebrating the multicultural flavours of Toronto neighbourhoods in Horizons and grab and go fare at Le Café. Visual displays throughout the building share many fascinating stories about this engineering marvel. Don’t miss the spectacular architectural illumination of the CN Tower each night from dusk with top of the hour light show. 401 Richmond is a restored, heritage-designated, industrial building in downtown Toronto that is home to over 140 artists, cultural producers, microenterprises, galleries, festivals, and shops. The building is a thriving arts hub that is open to the public. Glenn Gould Studio is the “jewel of the Canadian Broadcasting Centre” and continues to be one of Toronto’s favourite venues for concert-goers. The Princess of Wales Theatre is a 2000-seat theatre located in the heart of the Entertainment District. The theatre’s name has a triple meaning: it recalls the Princess Theatre, Toronto’s first “first-class legitimate” playhouse, that once stood three blocks to the east; it honours Diana, Princess of Wales, with whose consent the theatre was so-named; and it links the building to its sister theatre, the Royal Alexandra, one block to the east, also named – with Royal assent – for a former Princess of Wales. 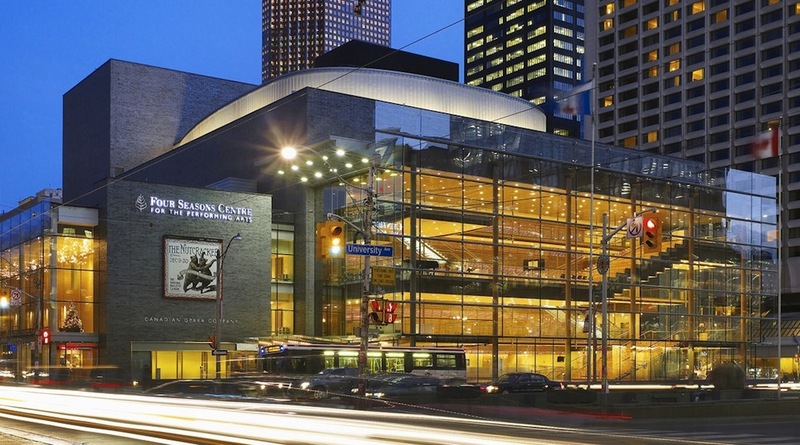 Roy Thomson Hall is a concert hall that showcases the world’s greatest performers in all disciplines. The Hall is a prominent venue for diverse activities in the Entertainment District. 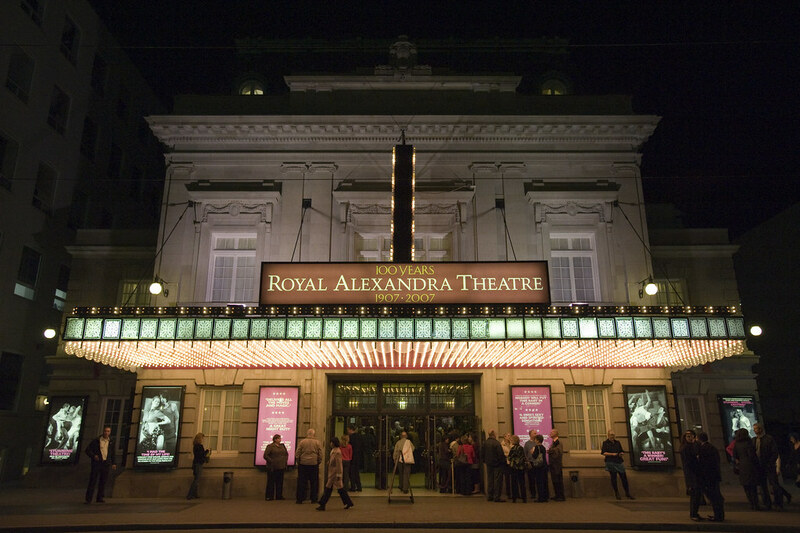 The Royal Alexandra Theatre is a National Historic Landmark building of 19th-century design. It has no elevators or escalators, with stair access only to the 2 balconies. Wheelchair seating is available in the orchestra (main floor) only and is accessible directly from the street without any steps. The Scotiabank Theatre Toronto is a major movie theatre at the RioCan Hall in the Entertainment District, at Richmond and John Street. 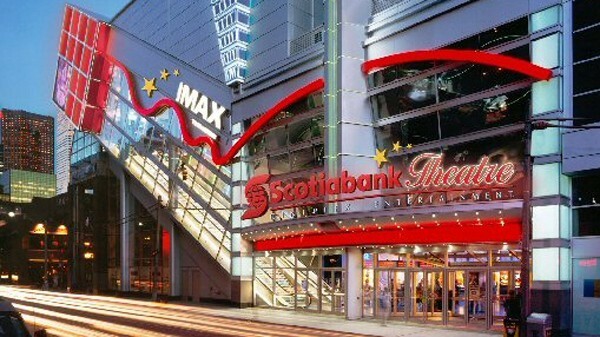 Scotiabank Theatre Toronto has a total of 14 auditoriums, including one with an IMAX screen, six with 3D screen, one UltraAVX auditorium with D-Box and a Barco Escape auditorium. 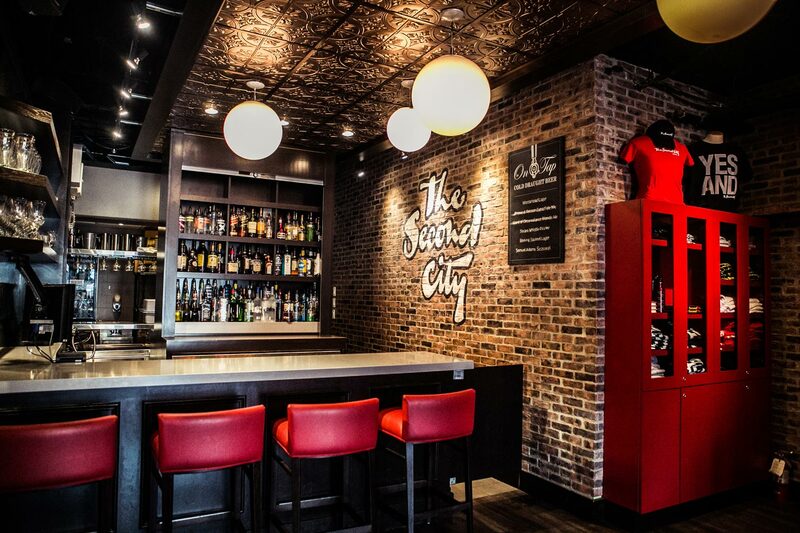 The Second City is today’s leading brand in improv-based sketch comedy. With a variety of theaters, training centers and full-time, touring ensembles, you can find them all over the world. The Second City has also taken improv off the stage, expanding our business to include collaborations with corporate clients, and television and film productions. Successful Second City alum include Tina Fey, Chris Farley, Bill Murray, and Keegan-Michael Key. TIFF Bell Lightbox is a cultural centre located in the first five floors of the Bell Lightbox and Festival Tower on the north west corner of King Street and John Street. It is the headquarters for the Toronto International Film Festival. 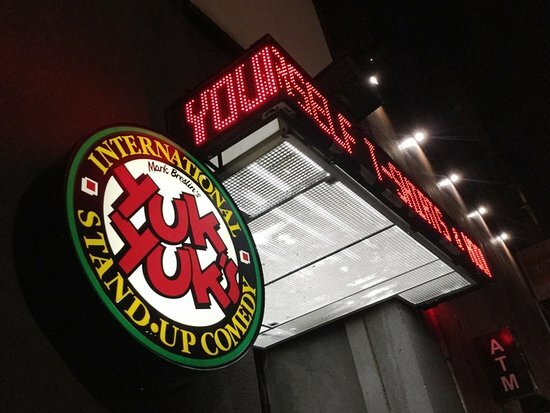 Yuk Yuk’s is a national comedy club chain in Canada with one of its locations in the Entertainment District. 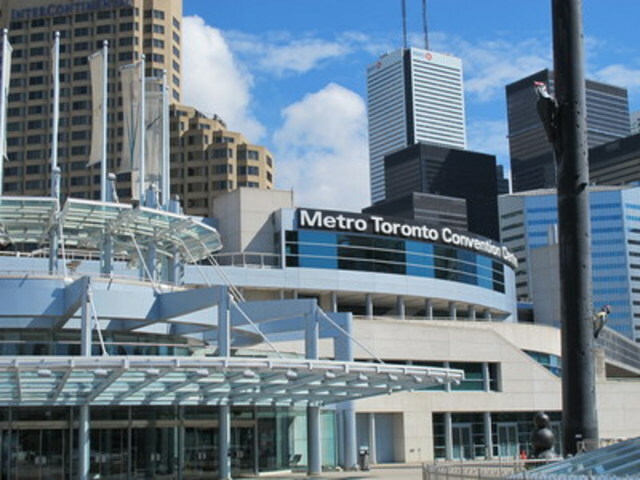 The Metro Toronto Convention Centre, Canada’s largest and one of North America’s leading convention centres located in the heart of downtown Toronto. The facility encompasses over 600,000 sq ft of flexible meeting and exhibit room space and is home to more than 600 events a year, including city-wide conventions, corporate meetings, galas, theatre events, trade and public shows. CBC is the oldest existing broadcasting network in Canada, first established in its present form on November 2, 1936. Radio services include CBC Radio One, CBC Radio 2, Ici Radio-Canada Première, Ici Musique and the international radio service Radio Canada International. Television operations include CBC Television, Ici Radio-Canada Télé, CBC News Network, Ici RDI, Ici Explora, Documentary Channel (part ownership), and Ici ARTV. The CBC operates services for the Canadian Arctic under the names CBC North and Radio-Canada Nord. The CBC also operates digital services including CBC.ca/Ici.Radio-Canada.ca, CBC Radio 3, CBC Music/ICI.mu and Ici.TOU.TV, and owns 20.2% of satellite radio broadcaster Sirius XM Canada, which carries several CBC-produced audio channels. Sportsnet 360 (SN360) is a Canadian category A specialty channel owned by Rogers Media. Scotiabank Arena is one of Canada’s premiere sport and entertainment venues located on Bay Street in the Entertainment District. It is the home of the Toronto Maple Leafs of the National Hockey League (NHL), the Toronto Raptors of the National Basketball Association (NBA) and the Toronto Rock of the National Lacrosse League (NLL). Scotiabank Arena also hosts other events, such as concerts, political conventions and esport competitions. Scotiabank Arena is connected to Union Station and the underground pedestrian PATH system, providing access to public transportation (TTC’s Union subway station and GO Transit). There are also 13,000 parking spaces. Rogers Centre is a multi-purpose stadium situated just southwest of the CN Tower. It is home to the Toronto Blue Jays of Major League Baseball (MLB). While it is primarily a sports venue, it also hosts other large-scale events such as conventions, trade fairs, concerts, travelling carnivals, and monster truck shows. Overlooking Clarence Square, The Clanrence Park hotel is a 10-minute walk from the CN Tower and 11 minutes from St. Andrew Station subway stop. Both the contemporary private rooms and the simple, bright, mixed or female-only dorms offer free Wi-Fi. Some add en suite bathrooms and/or flat-screen TVs. Dorm rooms feature bunk beds with privacy curtains. Amenities include a communal kitchen, a lounge, a rooftop deck and a casual cafe. Located between the CN Tower and the Scotiabank Arena in the Entertainment District, the Delta Toronto features an indoor pool, hot tub and yoga studio. Free WiFi access is included. Guests can dine in the on-site restaurant, SOCO Kitchen, or relax with a drink in Char No. 5, the hotel’s exclusive Canadian Whisky Bar. 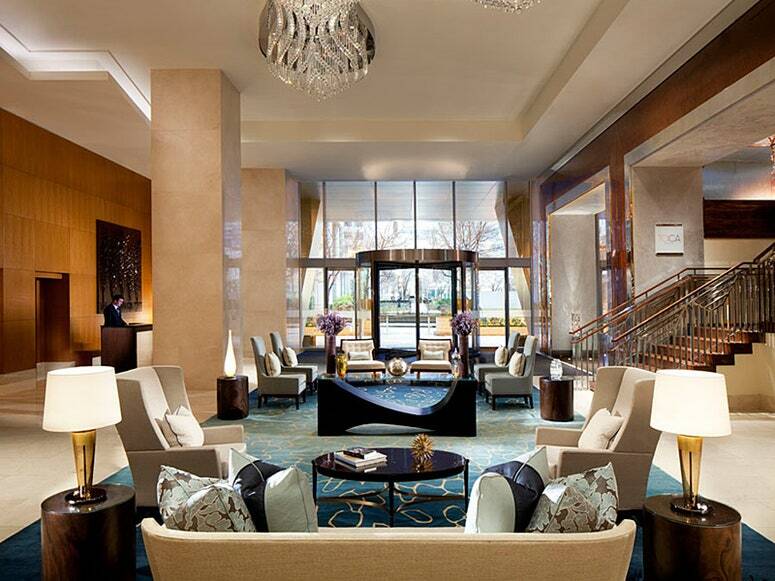 At the Delta Toronto you will find a fitness centre, meeting facilities, luggage storage and dry cleaning. The PATH, Toronto’s underground pedestrian walkway, is directly accessible from the hotel. Ripley’s Aquarium, Toronto Union Station, the Rogers Centre and Hockey Hall of Fame are all within 10 minutes’ walk. Fairmont Royal York is located in the center of Downtown Toronto, and is minutes away from its biggest attractions including: The CN Tower, Ripley’s Aquarium of Canada, Scotiabank Arena, Rogers Centre, the Eaton Centre, and the Sony Centre for the Performing Arts. A Four Diamond luxury Toronto hotel, neighbouring Union Station. This streamlined hotel is in Toronto’s Entertainment District, a 7-minute walk from Rogers Centre and a 13-minute walk from CN Tower. 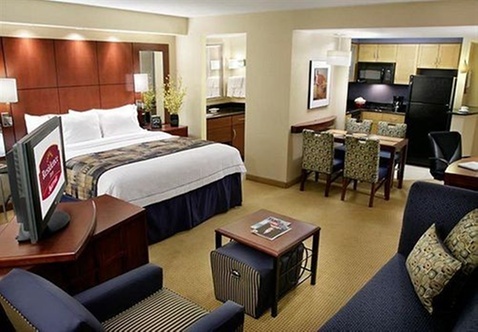 All rooms offer warm, classic decor and flat-screen TVs, free WiFi, minifridges, microwaves and Keurig coffeemakers. Select rooms add whirlpool tubs, fireplaces and/or pull-out sofas. A cooked-to-order breakfast is available (fee), and there’s a bistro-style restaurant serving international cuisine, as well as a trendy lounge. There’s also a fitness center, convenience store and bussiness centre, all open 24/7. Additional amenities include an indoor pool, a hot tub, a meeting room and guest laundry facilities. Le Germain Hotel Toronto Mercer is known for its elegance, comfort and quality. It’s all in the details—down to the very last one. Because that’s how they make sure you feel right at home, only better. 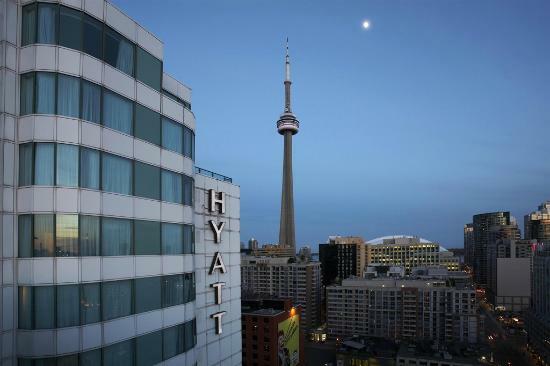 A 10-minute walk from the CN Tower, this polished hotel is also 12 minutes’ walk from Ripley’s Aquarium of Canada. Modern rooms feature 42-inch flat-screen TVs, free WiFi and coffeemakers, as well as work areas and iPod docks. Upgraded quarters include living rooms with wet bars. Buffet breakfast is available for a surcharge. Additional amenities include a rooftop pool, a fitness centre, a sauna and free public WiFi, plus a sleek bistro/bar. The 4-Diamond InterContinental Toronto Centre brings together an ideal downtown location in the heart of the entertainment district and close to downtown attractions including the CN Tower, Rogers Centre and Scotiabank Arena. Space to spread out. Comfort to keep you in. Residence Inn Toronto Downtown/Entertainment District’s Studio Suites are typically 40% larger than most standard guest rooms. All Suites feature: King size bed, queen size pull-out sofa and full kitchen. The world’s only four diamond hotel located in a major league sports and entertainment venue, the Rogers Centre. Where business and pleasure meet. Located in the heart of the downtown core and at the crossroads of the financial and entertainment districts, The Ritz-Carlton, Toronto brings a new level of luxury to the city. The Rosemont offers a superb range of luxurious furnished and unfurnished apartments in Toronto. Perfect for short term rentals or an extended stay in Toronto. Shangri-La Hotel, Toronto is a 202-room luxury hotel that will occupy the first 17 floors of a new 66-storey tower on University Avenue at Adelaide Street West. SoHo Metropolitan is a luxury boutique hotel that features the award-winning restaurant, senses; chic luxury rooms; a relaxing spa and the finest amenities available. The Visitor Guide provides a comprehensive list of the Entertainment District’s attractions, hotels & accommodations, theatres, art spaces, media, meeting spaces and major venues for sports and events. The Hospitality Guide to Dining & Nightlife provides a comprehensive list of the Entertainment District’s restaurants, pubs & bars, lounges, night clubs, live music & entertainment venues.